Previously, we’ve shared how to enable the Google Phone app’s new floating dialer bubble by modifying files on your Android device. 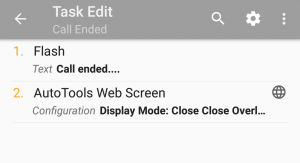 Since then, our favorite Tasker plugin developer, João Dias, came up with a solution of his own using his AutoTools app to recreate the same floating bubble. His video is cool, but the accompanying post was slightly lacking in its description so I thought I would create a separate tutorial and improve on João’s design by adding visual feedback to the toggles in the Dialer Floating Bubble. As always, we’ll first follow with a tutorial and then at the end you can find download links and instructions on importing the project. The AutoTools plugin comes with a new web-screen preset: floating bar. 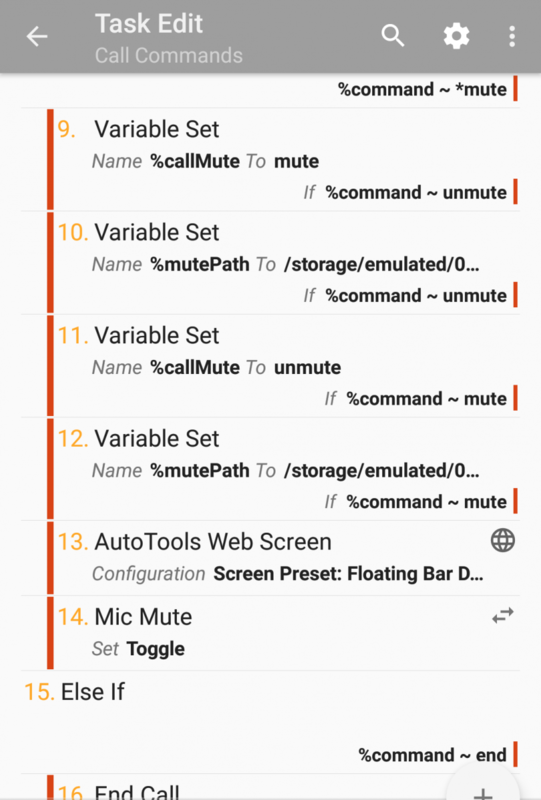 Using this preset, we can recreate the Google Dialer Floating Bubble on any phone. 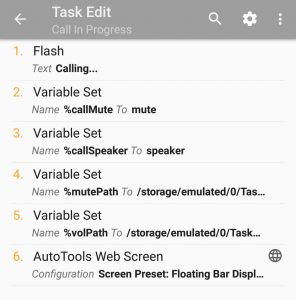 If you know your way around Tasker you will find it easy to recreate, but if you aren’t familiar with Tasker and AutoTools then read on as we’ll show you how. The changes that I made include removing paths to the volume and microphone icons and replaced it with variables. I have done the same with commands for these options. This way we can create a visual toggle when the button has been pressed. It’s especially helpful with a mute option, so you could see if the microphone is enabled. Creating (or modifying this bubble if you used Joao’s tutorial ) is a bit painful, but the good news is we can just copy and paste this action later. Make sure to assign the WebScreen ID as we will need this later to cancel the bubble. 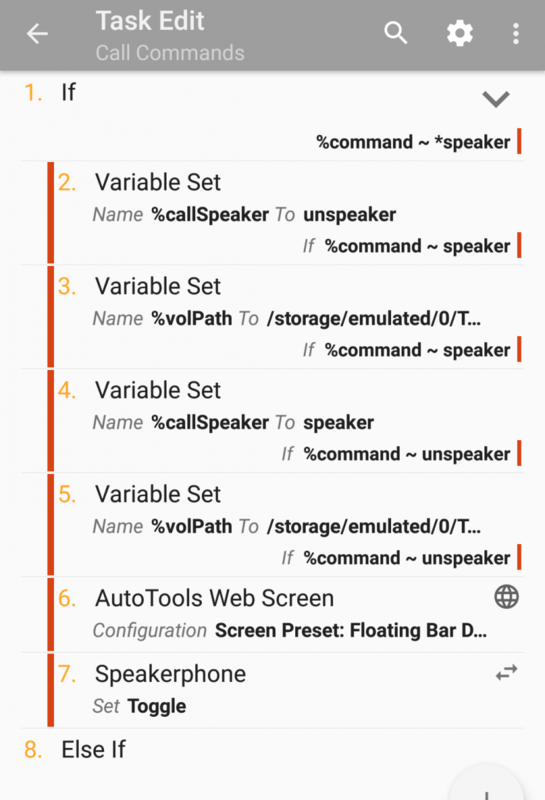 If the command = speaker/mute a set of actions will follow. I hacked the commands a little to make it easier to process all the actions. We are capturing mute/unmute and speaker/unspeaker commands by these actions. This is why I’m using the * wildcard in the IF condition. Depending on the command issued (mute/unmute|speaker/unspeaker) I set a correct command that will be assigned the next time I press the toggle. 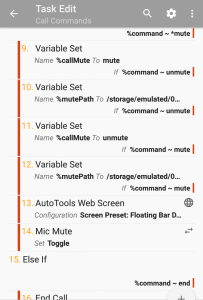 For example, if I press the button to mute (command=:=mute), I want to update the WebScreen and make sure that the next time I press this button the call will be unmuted (command=:=unmute). The same goes for the speaker action. In a similar fashion, I want to make sure that paths to the respective icons are changed once the button is issued. If I press a mute icon, I want the unmute icon to be substituted, therefore a path has to be updated. If the command reads end—just end the call. 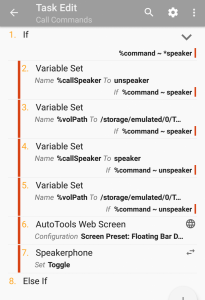 Now you know how to do this with Tasker and AutoTools. The new Dialer Floating Bubble project provides you with a nice, visual feedback to make interacting with your phone while in a phone call just a little bit easier. 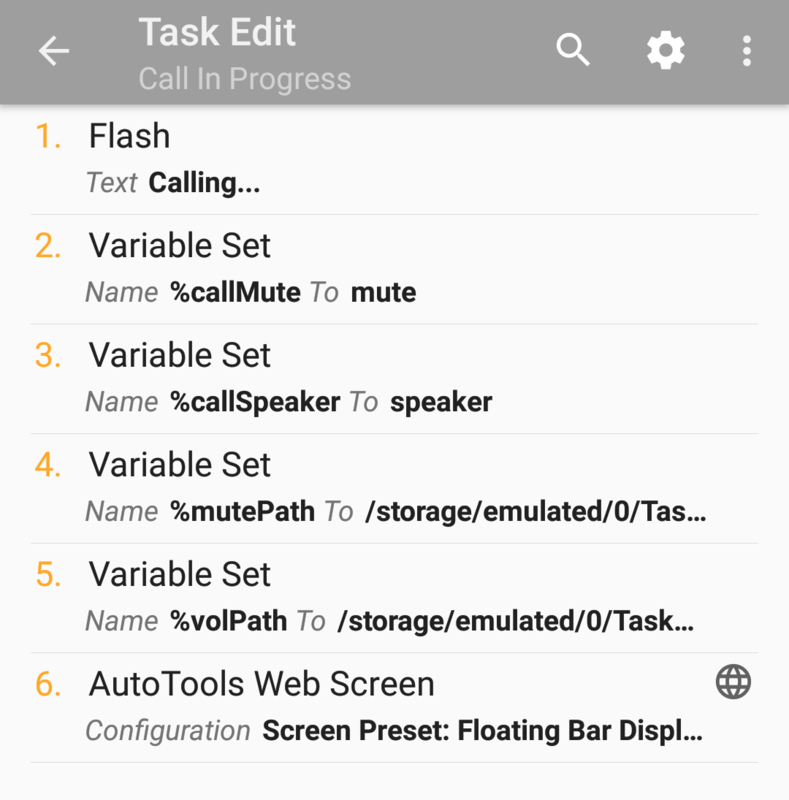 Feel free to further modify this Tasker project. Download the above ZIP file and extract the contents onto the internal storage of your Android device. Extract the folder callui to the Tasker/icons directory. Open up Tasker and disable “Beginner Mode” in Preferences. Then, go back to Tasker’s main page and long-press on the home icon in the bottom left corner. You will see an option to “import” a project. Tap that option then find the .prj.xml file you extracted earlier. 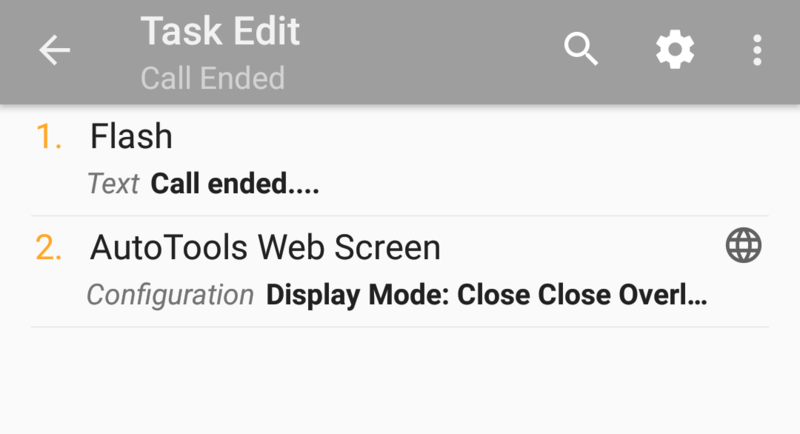 Once imported, you will see a new tab at the bottom alongside the default home icon in Tasker. This contains the profiles and tasks of this helper project. 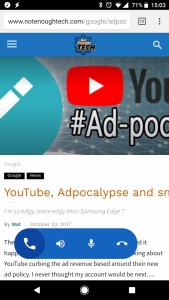 Follow the XDA-Developers Tutorials feed for more posts such as this. Also, check out our Tasker Tips & Tricks forum for the latest creations among the automation enthusiasts in our community.